1950 BELGIO - 20 Franchi argento 835/°°° Gr. 8 Belgie (Cat. World Coins KM#141.1) bella conservazione BB. 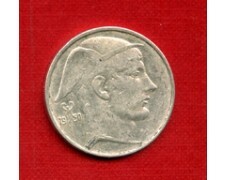 1950 BELGIUM - 20 Francs Silver 835 / °°° Gr.8 Belgie (Cat. World Coins KM # 141.1) beautiful conservation BB. 1950 BELGIO - 20 Franchi argento 835/°°° Gr. 8 Belgique (Cat. World Coins KM#140.1) bella conservazione BB. 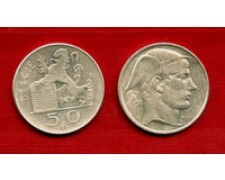 1950 BELGIUM - 20 Francs Silver 835 / °°° Gr.8 Belgique (Cat. World Coins KM # 140.1) beautiful conservation BB. 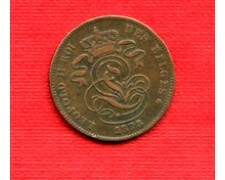 1870 BELGIO - 5 Franchi argento 900/°°° Gr. 25 effigie di Re Leopoldo II° stemma con leone rampante (Cat. 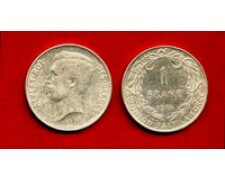 World Coins KM.24) bella conservazione BB. 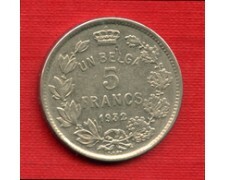 1870 BELGIUM - 5 Francs silver 900 / °°° Gr. 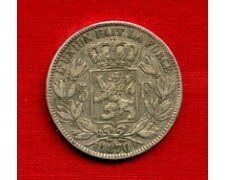 25 effigy of King Leopold II coat of arms with the lion rampant (Cat. World Coins Km.24) beautiful conservation BB. 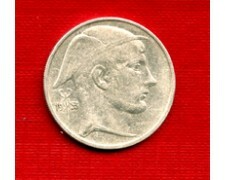 1932 BELGIO - 5 Franchi nickel effigie di Re Alberto (Cat. World Cois KM. 97.1) bella conservazione BB. 1932 BELGIUM - 5 Francs nickel effigy of King Albert (Cat. World Cois KM. 97.1) beautiful conservation BB.